We provide all students with a range of learning experiences which develop skills, self-confidence and independence whilst encouraging a positive attitude towards their schooling. We are proud of our high parent satisfaction rates, achieved through open and honest communication and a dedicated teaching unit who are committed to providing quality education. Our core business is Literacy and Numeracy and developing life-long learners. We also offer the specialist subjects of Physical Education, Visual and Performing Arts, Science and students from F-6 learn Indonesian language. We are the only primary school in Wodonga to offer a seamless transition through Wodonga Middle Years and Wodonga Senior Secondary College through the use of AVID (Advancement by Individual Determination). AVID is a system of organisational strategies for success in education and future life. In 2016 we proudly accepted Site Certification for our work with AVID. The Stephanie Alexander Kitchen Garden Program is a special feature of our school. Students learn about growing, harvesting, cooking and sharing food through comprehensive sessions in our enormous sustainable garden area and our well equipped kitchen. 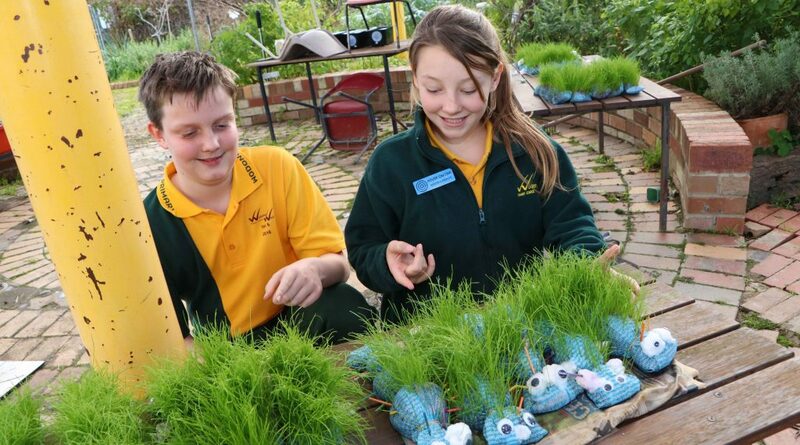 We are the only school in Wodonga to offer this program which embraces our vision of ‘Learning for Living’ with real life literacy and numeracy experiences. Our school also offers Bluearth – a holistic health and physical wellbeing program with 90% of our staff now accredited instructors. This program is also offered in our Early Learning Centre. Students have access to technology (including netbooks and Ipads) to enhance their learning in all curriculum areas. We are a School Wide Positive Behaviour School and our three expectations that underpin everything we do are ‘Be Safe, Be Respectful and Be a Learner”.